The Federal Reserve has given mortgage servicers a long and gradual runway to adapt to the realities of a higher interest rate environment. As consumers experience an increasing cost to carry debt, are faced with the inability to refinance into a lower interest rate mortgage, or find themselves faced with an increasing adjustable rate mortgage payment, we can expect to see a rise in delinquency, default and loss mitigation activity. Experts anticipate continued rate hikes, causing the average 30-year fixed-rate mortgage to potentially hold above the 5% threshold. The average 30-year rate hit 5.05% last month, representing a near 8-year high as reported by the Mortgage Bankers Association. Surpassing this threshold will more than likely have a noticeable effect on the housing market and homeowners. As servicers adjust to this ‘new normal,’ anticipating and preparing for rising delinquencies now, will help conserve resources tomorrow. Just last week, the mortgage industry got a bit of breathing room when the Federal Reserve Federal Open Market Committee chose not to raise the federal funds rate. However, Federal Reserve members and analysts largely expect an increase to come out of next month’s meeting, pushing the benchmark rate up to 2.5%. The Federal Reserve increased interest rates three times in 2017. This year, increases in March, June and September bumped the federal funds rate from 1.5% at the end of last year to today’s rate of 2.25%. 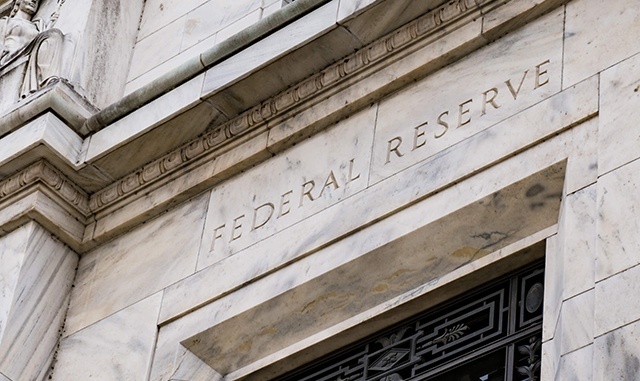 The Federal Reserve has also alluded that three more increases in 2019 are highly probable. As the federal funds rate rises, it often carries other key interest rates up with it, including the 10-year Treasury rate, as well as mortgage interest rates. The Mortgage Bankers Association has projected movement in the federal funds target rate to approximately 3% next year. This increase is expected to drive the 30-year fixed mortgage interest rate up to a longer term average of 5.1%. Although the industry has certainly seen mortgage interest rates well above 5%, economists suggest that it will be a testing point for the housing market. Mortgage lenders and servicers have operated in an unprecedented low interest rate environment for years. It has been a slow crawl up from December 2008, when the federal funds rate was moved to the lowest-ever level of 0.25%. In a competitive economy and rising rate environment, the rules of the game change. The interest rate norms that facilitate a borrower’s ability to easily maintain and transfer consumer debt, as well as access on-demand refinancing, will fall away. This scenario undoubtedly puts pressure on mortgage servicers. While many analysts agree that the current housing slowdown is not likely to result in a complete crash, the dramatic transition from low to competitive rates will significantly challenge the systems, solutions and end to end workflow processes that servicers have come to rely on for the past decade. Already overburdened by recovering from the economic crisis, ongoing regulatory change, servicing platforms and operational processes are still relatively ill-equipped to support volatility in delinquencies and investor/government loan default programs, to include disaster relief and the sunset of HARP. Fortunately, there is a way to bridge the gap and insure your servicing infrastructure is in a position to handle a rising interest rate environment; unlock this potential with CLARIFIRE® workflow. CLARIFIRE has been an industry leader in workflow automation technology for over a decade, delivering a sophisticated automated workflow engine that streamlines and integrates all of your business operations. Prepare your servicing organization for the impact of rising interest rates, disaster workouts and corresponding increase in default scenarios. To learn more, visit us at eClarifire.com, or contact us directly at 866.222.3370. Transition from organizational chaos to streamlined efficiencies with CLARIFIRE.